Earn $57.99 in Rewards credit (5799 points) What's This? 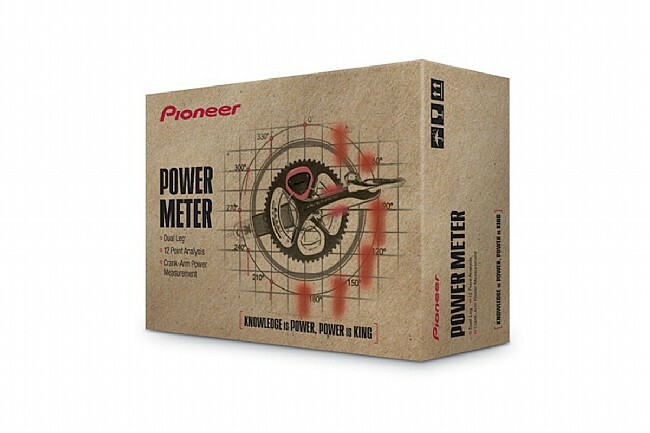 This Pioneer Dual-Sided Power Kit includes all materials needed to ship an existing crankset directly to Pioneer for a professional installation of their dual-sided power meter system. It's compatible with Dura Ace 9100, 9000, Ultegra R8000, 6800, and Campagnolo Potenza cranks, and turnaround time is approximately 7-to-10 business days. 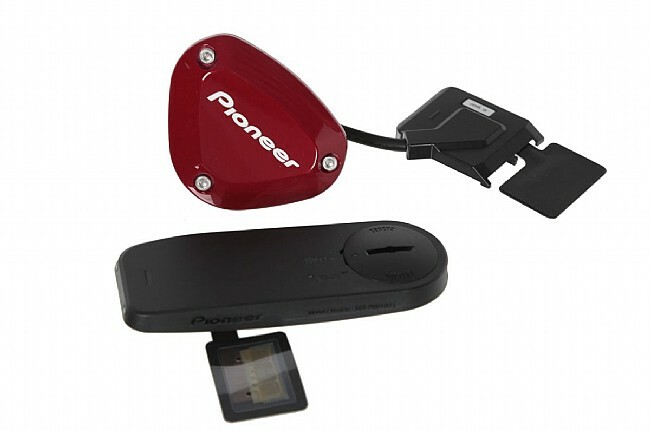 Pioneer’s Power Sensors measure force vectors every 30° of crank rotation. This means 12 points of measurement per side every pedal stroke, and, when used in combination with Pioneer’s Touchscreen Cycle-Computer, the information is used to display real-time pedaling efficiency to show not only how much power the rider outputs, but how much of it is effectively used or is merely wasted. When used with any other ANT+ capable cyclo-computer, power numbers are available according to the features of the paired computer. The Pioneer Power Sensors add 62 g to the standard weight of the crank. Estimated operating time is 180 hours on one user-replaceable CR2032 battery. Customer is responsible for shipping costs to Pioneer. Return shipping is prepaid. Note: The left-side power sensor adds 10 mm to the inside width of the crank arm, which may cause interference on some frames. Please measure before installation to ensure compatibility and prevent frame / component damage. Influences the way I pedal. It was easy to take my new crankset and box it up and ship it to Pioneer using USPS Priority insured, to receive the retrofitted power meters in about 1 week turn around. The techs in SoCal retrofitted two of these for me to go onto two Bianchi Infinito CV Disc bikes running Shimano Ultegra 175mm, 3450t cranksets, and Chris King PF30 BB's. The Pioneer Power Meter Kit is especially useable when the little display is included with the Power Meter, which can wirelessly feed stats into 'Cycloshpere' on my 802.11 WiFi wireless network at home, and on my IoS apple Iphone. I can see the power results and ride distance along with other useable stats. I can look at instantaneous (albeit with slight delay) from the little display mounted on the handlebars, daily, monthly, yearly, statistical results reflecting my leftright leg power gains when riding with these Pioneer meters. No worries, though, if I don't have the little display charged up, as the wireless ANT outputs for both power and cadence from the Pioneer strain gauges also are seen by the Garmin Fenix 5X watch (and probably other wireless ANT compatible devices which I haven't tested). I already use the 5X watch for heart rate and mapping and to get other calculations supplied from Garmin so also take a feed from the gauges. I have been extremely happy with my Pioneer power meter. I bought a new trainingnon-racing bike last summer, expecting to not worry about power etc. while I used it. However, once youre hooked on data its irresistible. Retrofit an Ultegra crank and it worked perfectly.